Here are two phrases to strike fear into the heart of any pop fan: "This next one's about life on the road" and "We shot the video ourselves". And here are The Staves talking about their new EP, Sleeping In A Car - a suite of songs about life on the road, promoted with a video they shot by themselves. "These songs reflect the transient nature of travelling. Fleeting moments, like a slide show - reflections in car windows, street lights passing in rhythm, stolen phone calls, late nights. Feelings of displacement and a disconnect - living in some sort of alternate state of reality. But underneath it all is the feeling of adventure and making your own rules and how dizzying and freeing that can be." "With the video for 'Sleeping In A Car' we wanted to make something that was honest, simple, unpolished and that represented how the song feels to us. No fuss. No ‘performance’. We filmed it ourselves over a few evenings. We were particularly tired at that time, so sleeping in a car wasn't too difficult. I think Jess was actually ill. If anything, this is an anti-video. 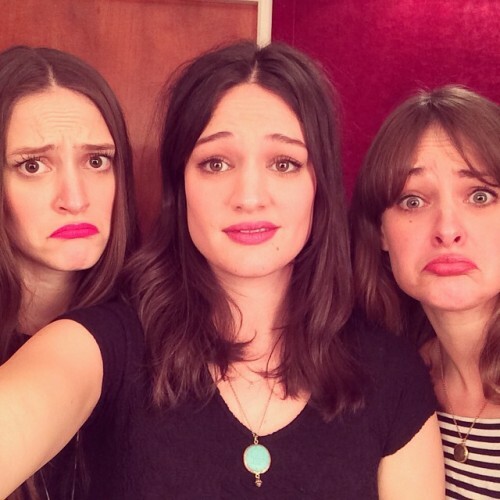 This being The Staves, of course, things are naturally a little more classy than your standard "it's so hard missing your mum / boyfriend / HP sauce / potted Ficus" tour nonsense. The song, produced by Bon Iver, stretches and grasps for the unknown, pushing the band's trademark harmonies into disturbing dissonance; while the video - literally a shot of Jessica sleeping in the back of a car - verges on the voyeuristic. Just call them the Mary Shepherds of indie-folk.